"Man, nobody pushed me into showbiz," John Travolta once said, "I was aching for it." He was aching for it so much that the Englewood, New Jersey, native dropped out of school at 16 and began acting in summer stock theater around New Jersey. TV commercials and some off-Broadway work followed before he moved to Hollywood where he landed a job in the touring company of Grease (a role he later reprised on the screen). But it was when he was cast as Vinnie Barbarino in the 1970s TV series Welcome Back, Kotter that Travolta vaulted to stardom. Travolta's second film was the now cult-classic horror film, Carrie (1976). But it was when he took to the dance floor in Saturday Night Fever (1977) that Travolta electrified audiences and became a huge star. He was on top of the Hollywood food chain for many years before falling out of favor for some time. About that period, he says, "It wasn't until a year before I did Pulp Fiction that I said, 'Wait a minute, I'm not getting any scripts that don't have the title Look Who's Talking Three.' I had to admit to myself, Oh man, it's over." But over it wasn't. Travolta staged a remarkable comeback with Pulp Fiction (1994), playing a sort of Vinnie Barbarino gone bad. Since then he's put himself back on the A-List and seems to be working overtime to make up for the lost years. "My reason for working a lot is that I am now consistently being offered the top scripts, with the top directors, for the first time in my life," he says. "I don't want to blow that opportunity." Since Pulp Fiction , Travolta has gone on to star in many memorable films, like Face/Off (1997) opposite Nicolas Cage, Swordfish (2001) with Hugh Jackman and Halle Berry, the emotional firefighter movie Ladder 49 (2004), the film adaptation of the popular stage production Hairspray (2007) in which Travolta played the part of a woman and most recently, Savages (2012). Travolta is married to Kelly Preston. In fact, they were married twice after their first ceremony, conducted by a Scientologist minister, was declared illegal. They have two children together, but their son, Jett, died at the age of 16 after falling and hitting his head in the bathroom of their vacation home in the Bahamas. 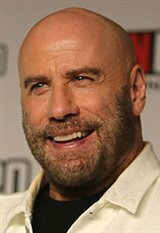 In May 2012, Travolta became involved in a shocking scandal when several male masseurs came forward accusing him of sexual harassment. The actor and his lawyer adamantly maintained that the claims were completely false. Travolta's main hobby is flying planes and he owns several, including a Lear and a Boeing 707. In September 2010, he actually flew Oprah Winfrey's entire studio audience to Australia. More recently, he starred in The Forger (2015).